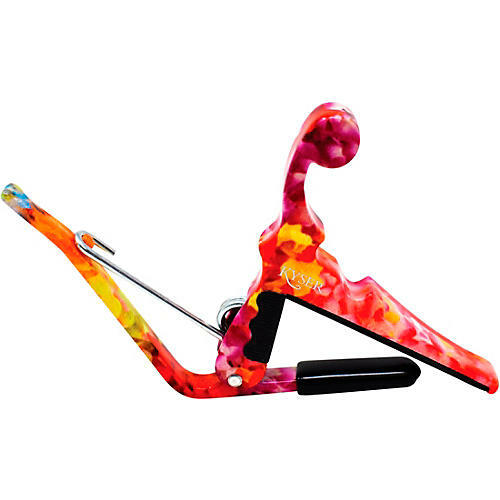 This Hawaiian Lei themed Kyser Quick-Change capo is specifically made for the small neck and flat fretboard of ukuleles. With a much smaller body, no curved radius, and lighter spring tension than the original Kyser Quick-Change capo, it’s the perfect fit for ukuleles. Ukulele players can now quickly and easily change the pitch of their instrument without changing chord fingerings with a beautiful island-themed capo.